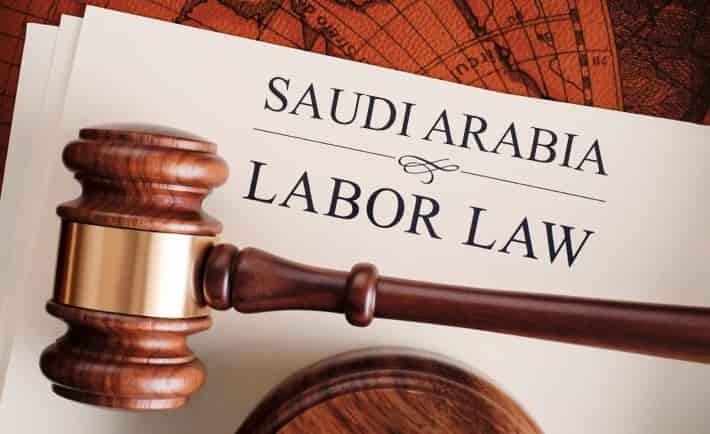 Labor Ministry and the Council of Ministers approved 38 amendments updates in new Saudi Arabia Labor Law on March 2015, Which is effected after 6 months of the approval, that is from October 2015. The major updates of these 38 amendments are as follows. 1. Training for Saudi's : A company with 50 or more employees must train 12% Saudis and take them as original employees. Earlier it was 6% and It is stated in Article (43) of Saudi Labor Law. You can also see this article "Nitaqat Categories". 2. Probationary Period : 90 days probation period can be extended by additional 90 days (But not more than 180 days, Earlier it was only 90 days), if both parties agreed for that period. An employee in one organization can go on probation period only once, Unless the job is separate from the earlier one or when worker left and returned back to organization. It is combined in Article (53) and (54). Recommended article "Muqeem Card for New Expatriates". 3. Fixed Contracts : For Saudi Nationals, If the employment fixed contract is extended for 4 years (successfully renewed 3 times) then it will become unlimited contract. Earlier it was 3 years (renewed 2 times). It is as per Article (55) in Arabic contract of Saudi Labor Law. 4. Absent From Work : As per Article (80) in SLL, Employee absence from work without valid reason for more than 20 days or 10 consecutive days are increased to 30 days or 15 consecutive days are subject to termination without any salary. Read this article "What is Huroob". 5. Termination Notice : Expanded notice periods for termination of unlimited contracts from 30 days to 60 days for monthly payable employees and 15 days to 30 days for hourly payable employees. Referring Article (75) in 38 new amendments of Saudi Labor Law. 6. Leaves : Increased in Short term leaves of Article (113) in New Saudi Labor Law 2015. - Marriage Leave is increased from 3 days to 5 days. - Paternity Leave is increased from 1 day to 3 days. - Bereavement Leave is increased from 3 days to 5 days. - Muslim women will get 4 month 10 days leave in case of husband dies or divorce. For Non Muslim women she is entitled for 15 days leave with full pay. As mentioned in Article (160). 7. Maternity Leave : 10 week maternity leave for women with full pay starting 4 weeks before delivery, Additional one month leave with out pay. As mentioned in Article (151, 152). Similar article "Vacations & Leaves in Saudi Labor Law". 8. Transfer of Employee : The Employer must get written permission of employee before transferring from one place to other. In emergency situations employer can transfer employee to other place not more than 30 days in a year. Recommended article "Sponsorship Transfer in KSA". 9. Employment Certificate : Article (64) of New Saudi Arabia Labor Law, The employer must provide a certificate of employment at the end of the contract. Certificate should not include anything that harm the reputation of the employee. 10. Working Hours : An employee should not stay at workplace more than 12 hours per day, No more than 5 consecutive hours work without a break, Break should be at least half hour every day for prayer and lunch. You can also read this article "Working hours as per Labor Law". 11. Work Injuries : As per Article (137), An employee who met with work injury is entitled to full pay of 2 months (Earlier it was 1 month) amount compensation and thereafter 75% pay till the treatment which can be up to 1 year, where upon he shall classified as disabled and eligible for compensation. 12. Wage Protection System : As in Article (90.2), Currently KSA is implementing Wage Protection System where companies are required to deposit salaries into a bank account for each employee. As of now, WPS is on eighth stage which is applicable to firms with 130 or more employees, It started with largest firms with 3000 or more employees.